Every time I see another official country submission or Oscar nominated foreign film, I'm staggered by the emotional impact of the work. All too often they open my eyes to stories and characters I'd never see in a Hollywood made glossy production. 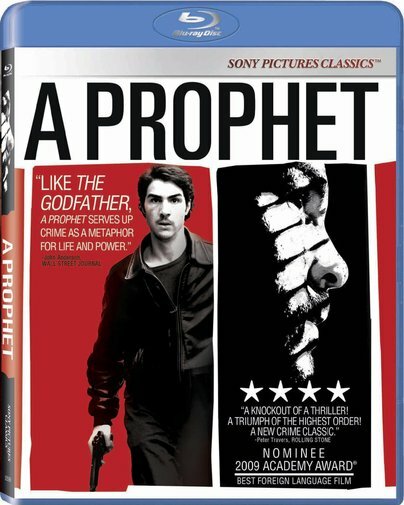 It's a truly inspiring, overwhelming, humbling and enriching experience and Jacques Audiard's A Prophet was no exception. Disinterested in the “reductive” or overly clichéd sagas of typical filmdom anti-heroes via testosterone fueled tough guys or madmen, Audiard set out to create “the anti-Scarface” with this unorthodox crime drama wherein a character must truly become adaptive and knowledgeable in order to survive. Of course, some narrow minded cinema illiterate film critics still couldn't help but pigeonhole the work alongside other organized crime contemporary classics by way of obligatory unimaginative references to Scarface, The Godfather, GoodFellas and City of God which takes away from all the movies involved by labeling them as a certain type. However, within the first act of this 155 minute masterpiece alone, you realize that much like the aforementioned films, Audiard has made something both unique and memorable. Emotionally explosive and visually arresting, the movie which became France's official submission to the Oscars not only received an Academy Award nomination in the category of Best Foreign Language Film but also received the Cannes Grand Prix award (just behind fellow nominee The White Ribbon) and was additionally selected as the Best Foreign work by the National Board of Review. 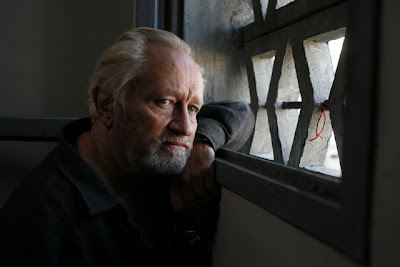 Unassuming, weaker than the hardened criminals and far more accustomed to juvenile detention centers, when Malik arrives in prison to serve six years, he finds that the joint is essentially run by the Corsican mob, headed up on the inside by the elderly Cesar Luciani (Niels Arestrup). Although he's not what his peers would consider a devout Muslim by any means, he's housed in the Arab block which unfortunately makes him the ideal guy to be tapped by Cesar with a horrifying request to kill an Arab informant staying in his wing before he's scheduled to testify against Cesar's boss on the outside. Given the ultimatum to either kill the man or be killed himself by the Corsicans, Malik discovers that with the guards and warden in their pocket as well, he doesn't have the luxury to worry about morals in the fight to survive and although he's essentially been given a choice, it's really no choice at all. Caught between both worlds as the new Arab addition to the Corsican mob who continually look down on him for being an Arab and unaccepted by the Arabs who now consider him a Corsican because of his alliance with them, Malik slowly rises in power to become Cesar’s right hand man even though both men understand that all they're doing is using the other one for as long as it remains convenient. Rising in power on the inside with the Corsicans, Malik decides to acquire more knowledge to make the upward climb even faster, learning to read and write as well as secretly becoming fluent in Cesar's language, going from a meek ignorant prisoner to an opportunistic schemer building important relationships and making plans for life once he's reached the other side of the bars. Aside from a recurring ghost like vision from which Malik suffers throughout A Prophet as an intelligent way to deal with the price he’s paid for his rise to dominate, overall the title never quite manages to compliment the movie. In discussing this, even the director notes Prophet was his backup choice after being unable to find an ideal translation for Bob Dylan’s song “Gotta Serve Somebody,” which could be considered one of the film’s main themes. Yet despite the fact that you may have to reveal a sentence or two of the plot to remind another that yes they really did see Audiard’s incredibly gritty, tough but auspicious, ambitiously bold offering, fortunately once their memory is jogged, his thrillingly epic work remains one that’s impossible to forget. Likewise it’s one that stands head and shoulders above most violence as spectacle Hollywood pictures that have none of the gravity of the complicated film or its emotional power. For once again A Prophet reminds us that in order to adhere to Audiard’s belief that “there are new routes to follow,” frequently the best place to stop and ask for directions to do just that is in the foreign film section of the video store.